An increasing number of people are choosing to hike as a form of low-impact exercise. There are many physical and mental benefits including lower levels of anxiety and preventing osteoporosis. Many people, however, set out on a hiking trip because they want to experience the great outdoors and take in the scenery along the way. If you’re planning a hiking trip sometime in the near future, there are a few things you need to bear in mind before you pack your backpack. Take note of the following tips, and you’ll be better equipped to make the most of your outdoors experience. If this is your first hiking trip, you’re better off starting small and not being too ambitious. A good guideline is to stick with a hike that’s just a little longer than the distance you’d normally walk on a level or paved surface. Once you’ve done a few shorter trails, you’ll be fitter and able to tackle more challenging ones. You’re not going to find the best trail for your abilities by randomly sticking a pin in a list of trails. You need to do some research and find the best trails for beginners. Check out hiking magazine, websites, and forums for some ideas. Before you set out, make sure you’ve packed everything you need, by making a list. Bring an experienced friend with you. Pack a map and compass or use a good hiking GPS. Outdoor Wilds has some great reviews of the latest hiking gadgets on the market. Keep yourself protected from the sun. Rest for 10 minutes every hour. Plan your route before you set out. Bring snacks with you in case you’re out on the trail longer than you planned. Always let someone know where you’re going and when you plan to return. There are a number of items you need to take with you, depending on how you long you plan to stay out and where your hike is going to take you. The expected weather is also going to determine what you carry in your backpack. The items you need include some form of navigation, sun protection, insulation, illumination and first-aid supplies. You need to carry a way of making fire, either matches, lighter or a candle. Always carry water and food supplies as well as something you can use to make an emergency shelter. You might think that some of these aren’t really necessary, but it’s better to be prepared should something unexpected happen. When you’re hiking, you’re not going to be overly concerned about looking glamorous. Your feet, in particular, need to be taken care of with a quality pair of hiking shoes and socks. What you wear on the rest of your body is equally important and the key is to be comfortable. Cotton is out as it gets damp easily and stays that way. Synthetic materials are much better. Follow these tips and you’ll be all set for a great hiking season. 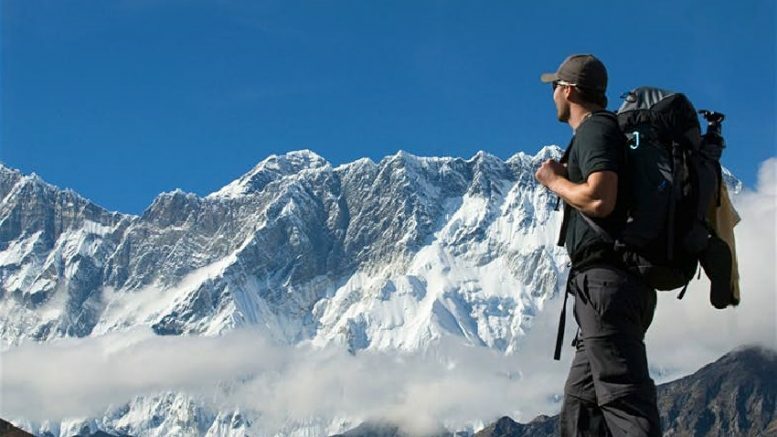 Be the first to comment on "Hiking Tips to Make Your First Trek a Success"